A new 2.0 Hope Street fit in stock. 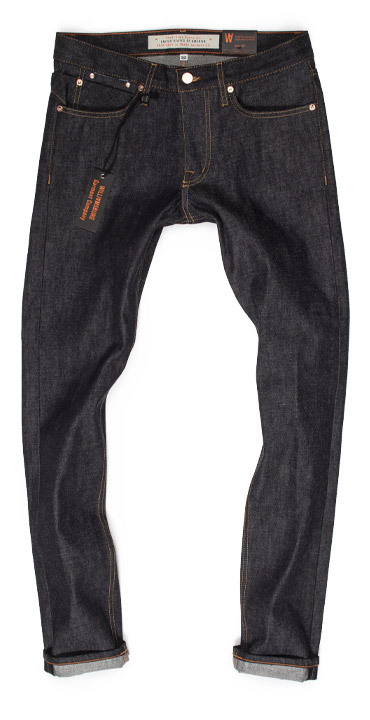 The original Hope Street fit has a waist opening which is very different from all other Williamsburg styles, making it difficult to choose a size. In other WGC styles, if you wear size 32 in the South 4th Street skinny, it would be likely you would wear size 32 in South 2nd Street straight, or Grand Street slim. However, when it came to Hope Street, your size could be size 31 or 32. In the new Hope Street, its sizing will be consistent with our other models. Williamsburg Garment Co. Williamsburg Garment Co. Compare Williamsburg slim tapered fits – original Hope St. vs updated Hope St. When comparing sizing, please note, we use total circumference measurements in our fit charts. Others may use 1/2-circumference.